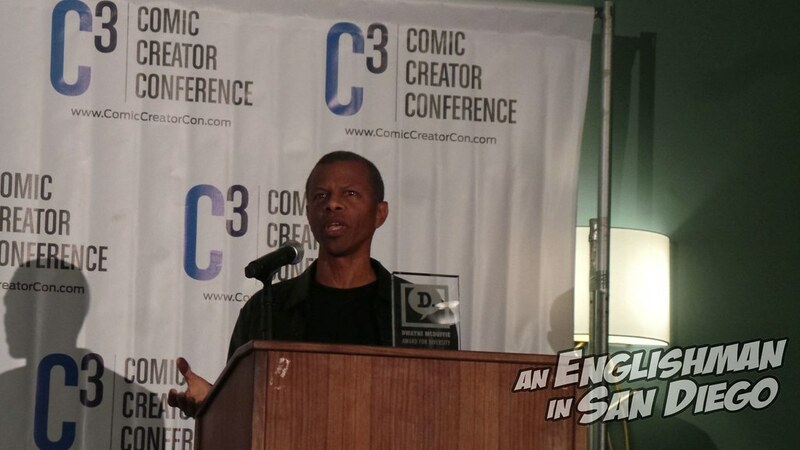 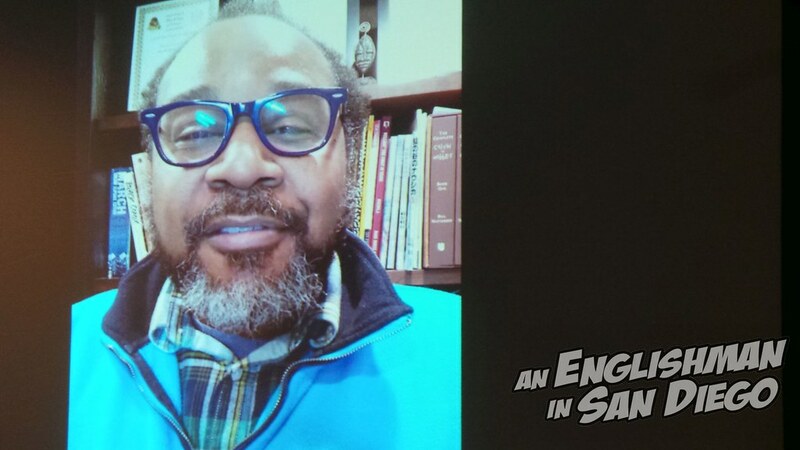 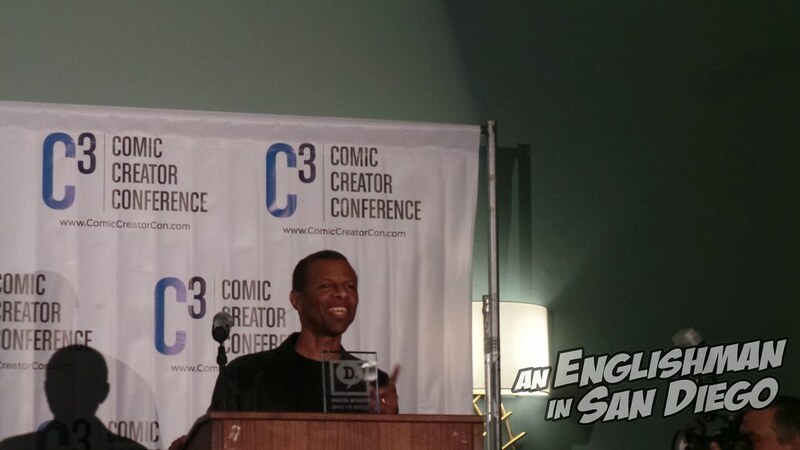 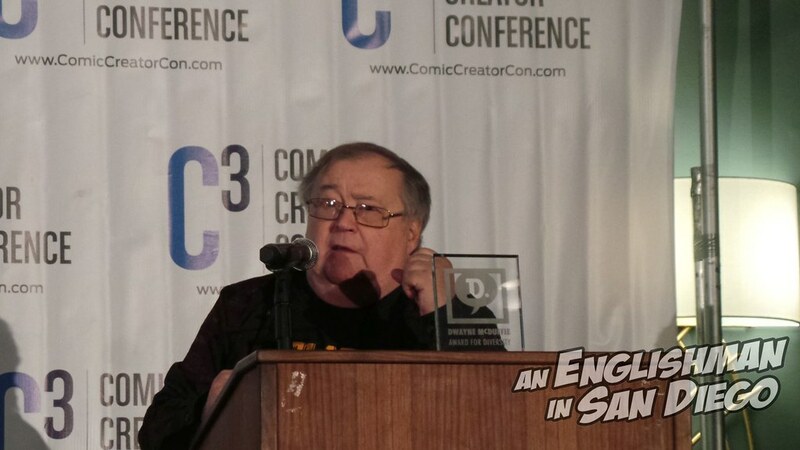 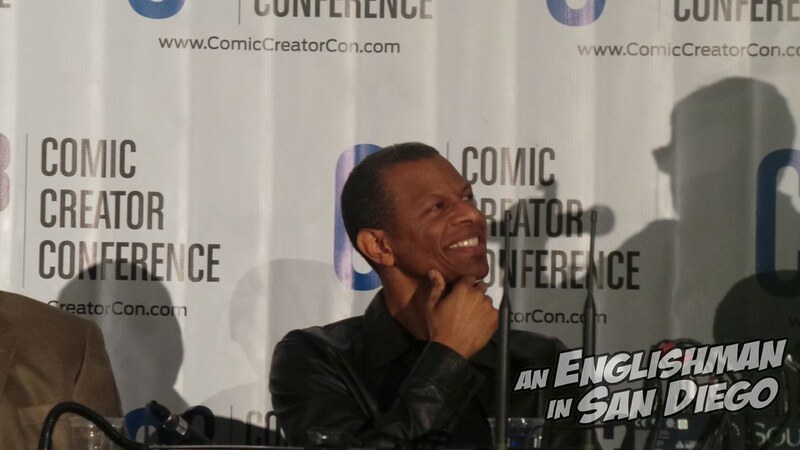 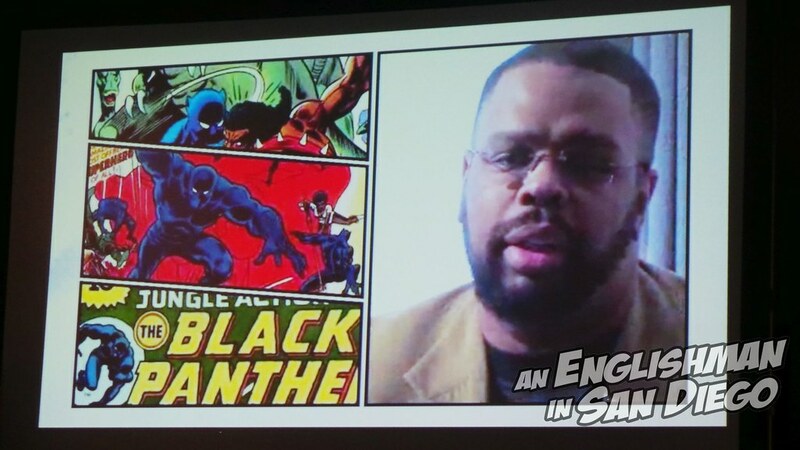 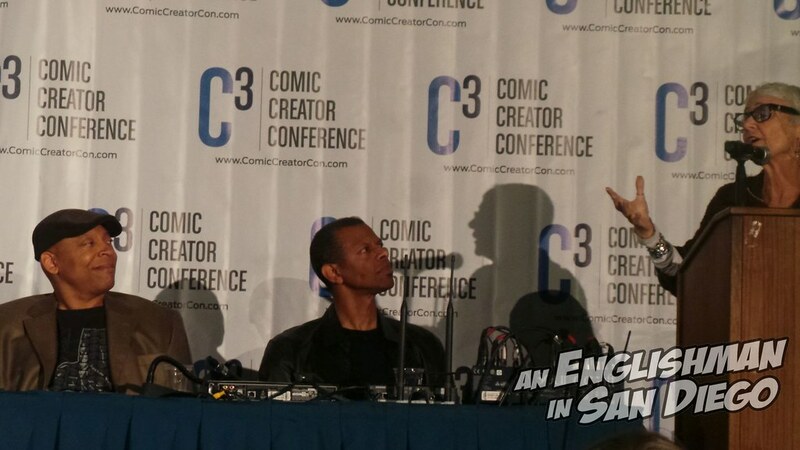 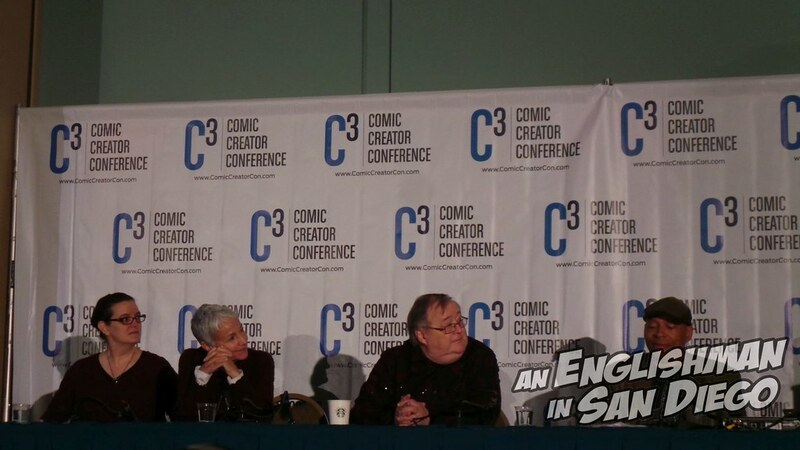 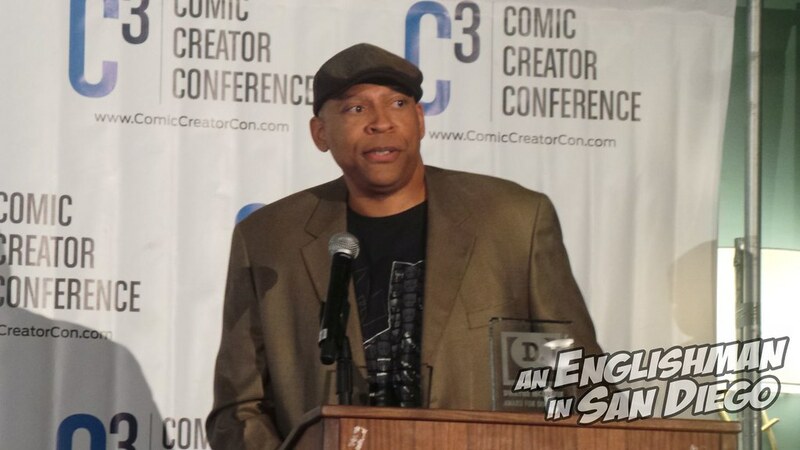 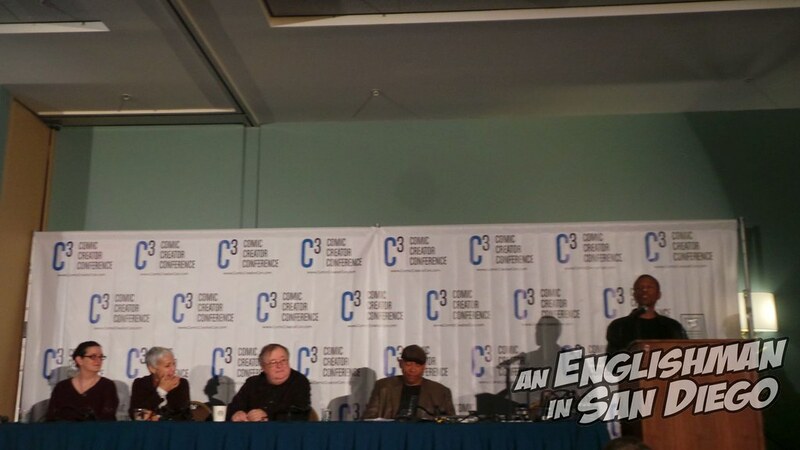 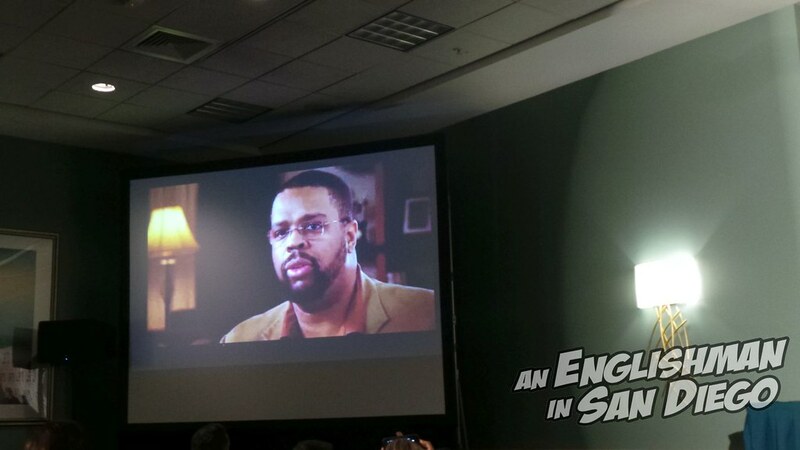 As part of his attendance at this years Long Beach Comic Expo, held last weekend, AEISD Contributor Dan Berry was lucky enough to also be in the room for the gala presentation of the Dwayne McDuffie Award for Diversity In Comics that was held on the Friday, taking place after the Comic Creator Conference (C3), at the Long Beach Convention Center – Jamar Nicholas‘ LEON: PROTECTOR OF THE PLAYGROUND was the worthy recipient of the Award this year. 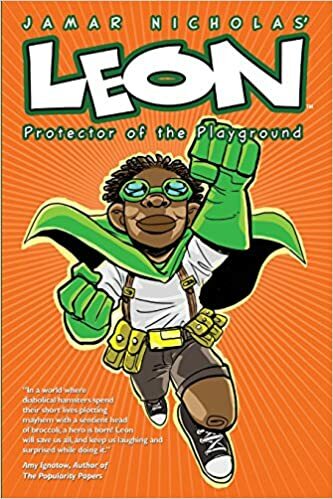 “Written and drawn by Jamar Nicholas, […] LEON: PROTECTOR OF THE PLAYGROUND was the winner of the 2018 Dwayne McDuffie Award for Diversity – it’s a lively all-ages graphic novel set in a world where superheroes are common but kids still have to deal with hall monitors and grades along with supervillains. 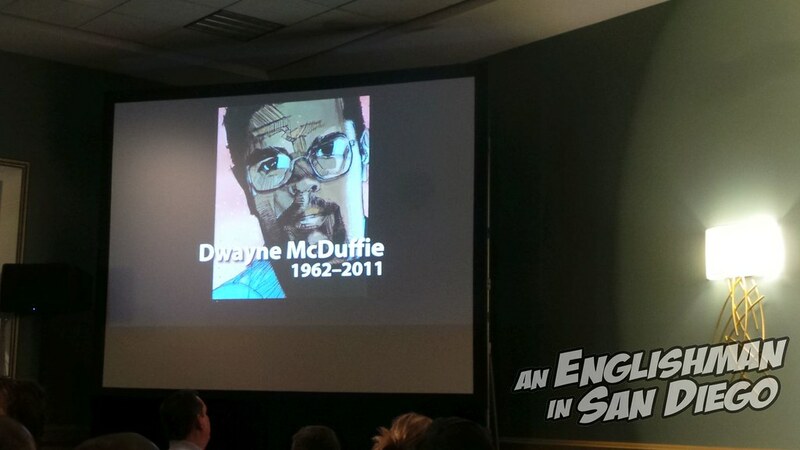 The awards ceremony was a tribute to McDuffie’s legacy with speeches by presenter Phil LaMarr, writer Don McGregor, voice director Andrea Romano and Charlotte Fullerton McDuffie talking about the power of representation and, of course, the importance of this weekend with the Black Panther film’s record breaking opening. 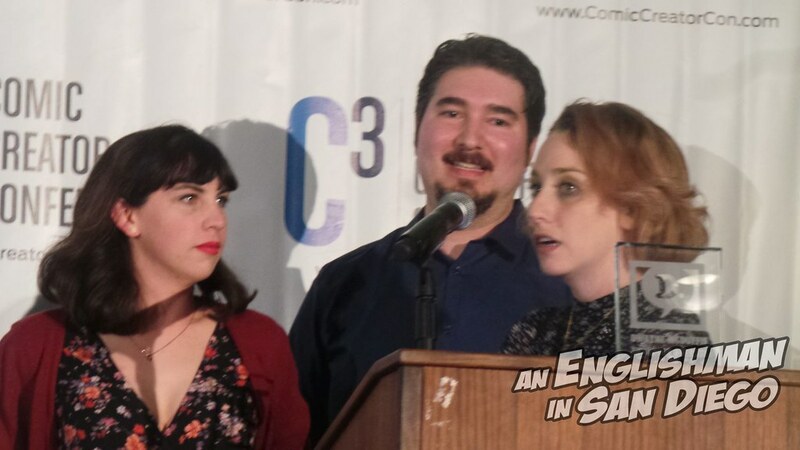 It was a touching evening. 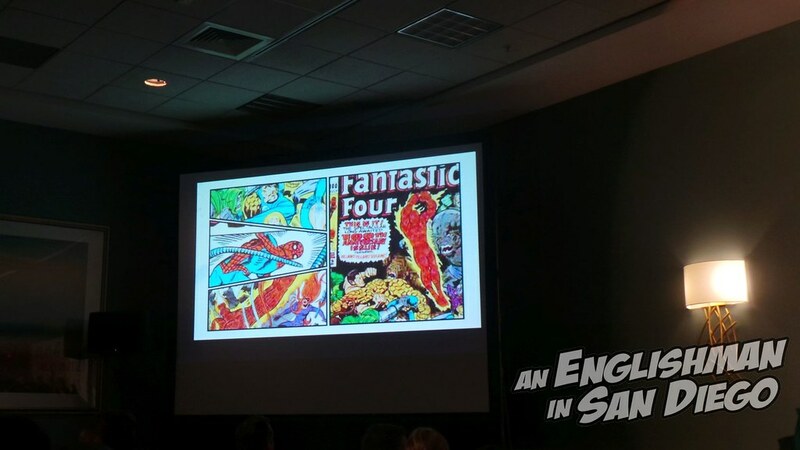 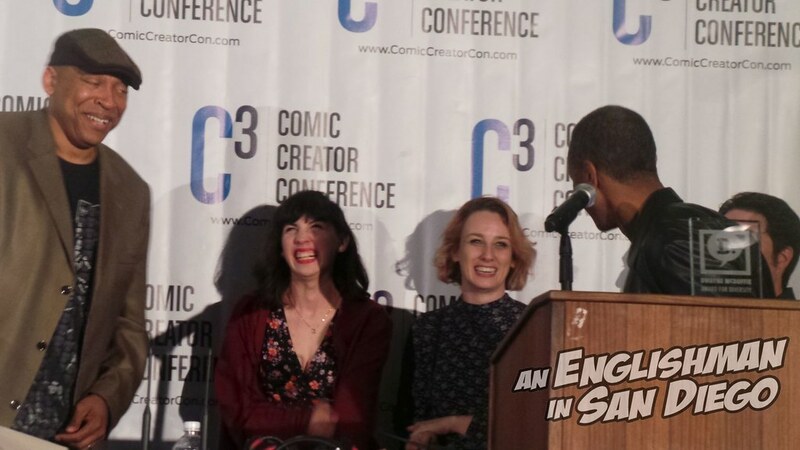 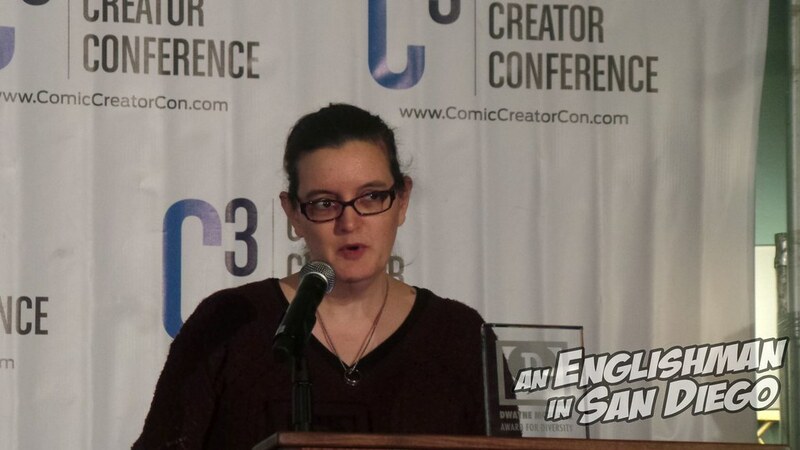 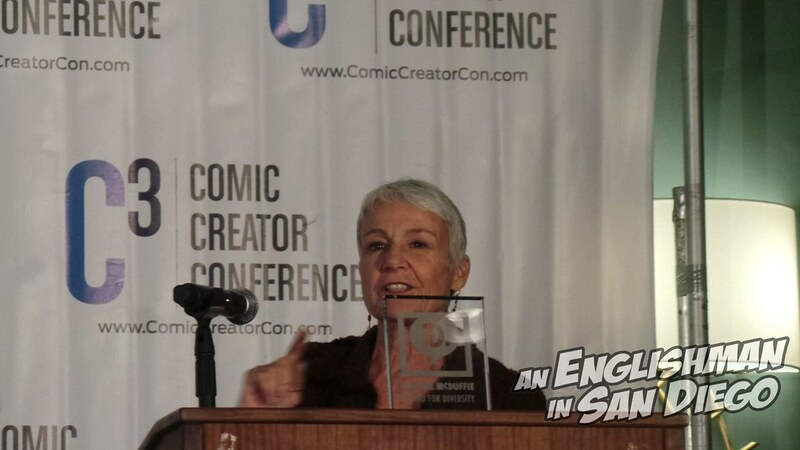 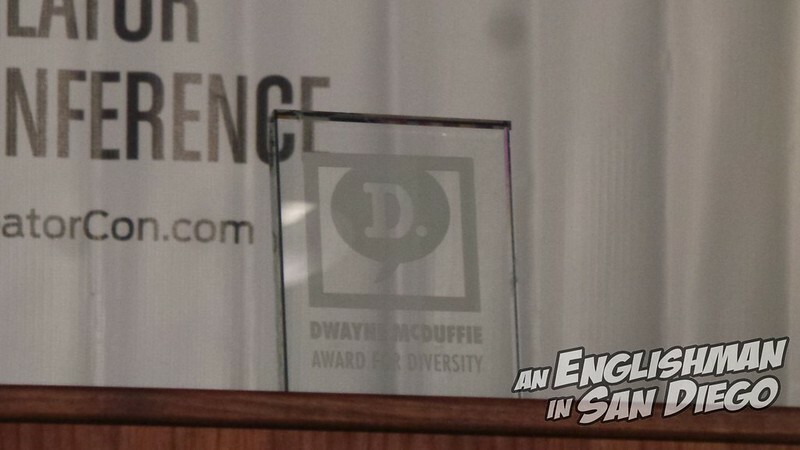 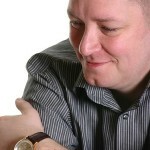 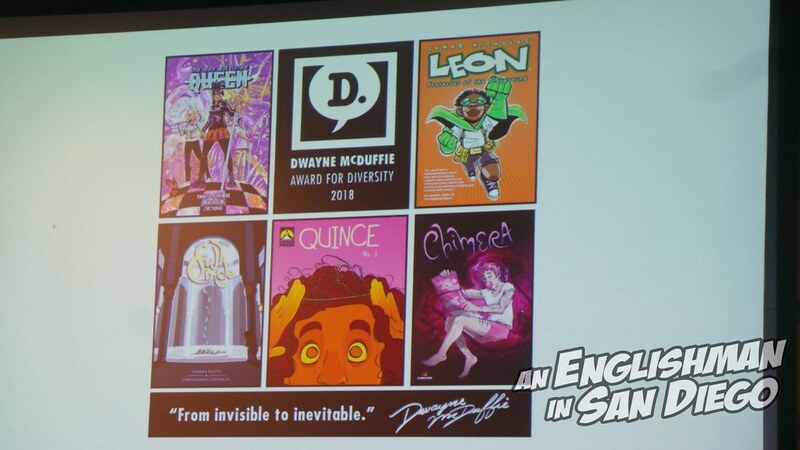 I, for one, believe this award to be an essential part of comics, not only in the celebration of an incredible creator, honouring McDuffie’s legacy in comics and acknowledging that he was taken from us far too soon, but also in the continuing role of recognising the necessary and vital voices of diverse creators in comics today. 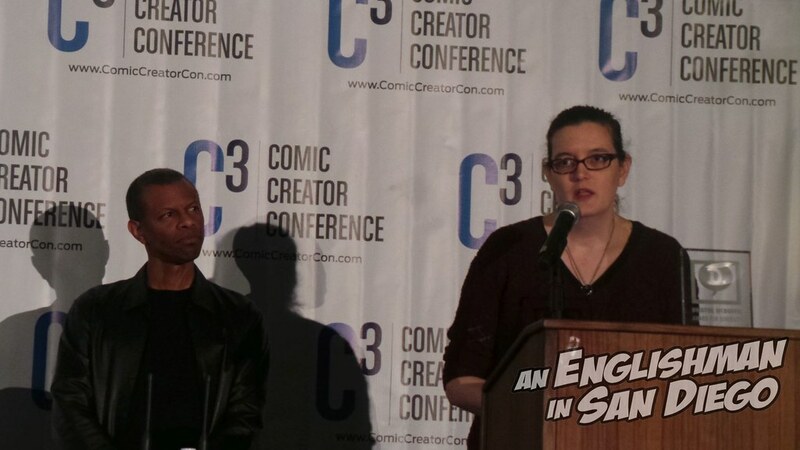 I only wish I could’ve been there in person, but thanks to both Dan and Heidi for their pictures and words. 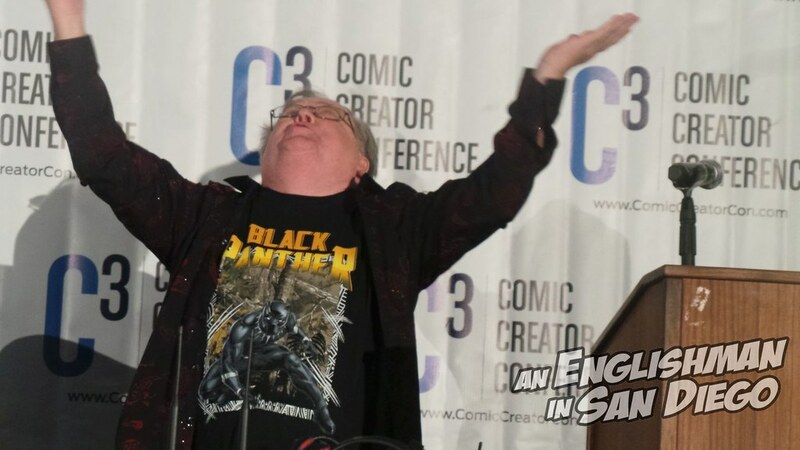 Dan also took plenty of shots of the Long Beach Comic Con itself – photo galleries, coming soon!